Discussion in 'Where am I? Where are you!' started by laughingllama75, Jul 20, 2008. Oh nice, I don't do regular doctor stuff there but it is nice to know one of the best medical centers around is right next to me! Haven't seen any other NH people on here until you showed up! Hello from Southern NH! Any other NH folks still around? I have 2 ND goats (a doeling named Lily and a whether named Shen) who are 7 months, 14 chickens (6 weeks - 2.5 yrs), 2 ducks, and a beautiful, deaf, white boxer (Stella Ruby Slippers ). 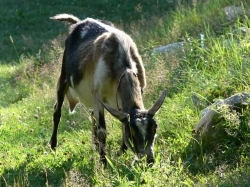 I want to get more goats but probably not until spring - and probably not babies because they are such a nightmare to try to keep penned up! Fortunately they have huge, loving, and amazing personalities that make up for it! Latestarter and B&B Happy goats like this. Hey there, i was from NH, but got tired of the cold, grey skys, rain and snow....we have ND here, sure is diffrent than up north...parasite issues living in a hot humid climate....one of my doe's name is Lilly also...hope you all have a easy winter ! Girl...i feel your pain ! Greetings and welcome to BYH Patty, from NE TX! So glad you joined us. I'm originally from MA and spent a lot of time in NH. Was also stationed in Maine for quite a while when I was in the Navy. Sorry I missed this post initially as it didn't "pop up" in the new member area. @Bruce is in northern VT and @RollingAcres is in upstate NY. We have a couple of Main-e-acks here as well. There's a wealth of info, knowledge and experience shared in the multitude of threads. Browse around and see what interesting stuff you can find. By all means post away when the desire strikes you, especially if you have questions (provide as much detail/info as possible and pictures truly help)... With all the great folks here, generally someone will respond in no time at all. Please make yourself at home! PattyNH and B&B Happy goats like this. Hello @PattyNH and welcome to BYH! Glad you joined us. We have a lot of goat folks here and they are very helpful. If you have questions, please don't hesitate to start a new thread and ask away with your questions. Latestarter and PattyNH like this.